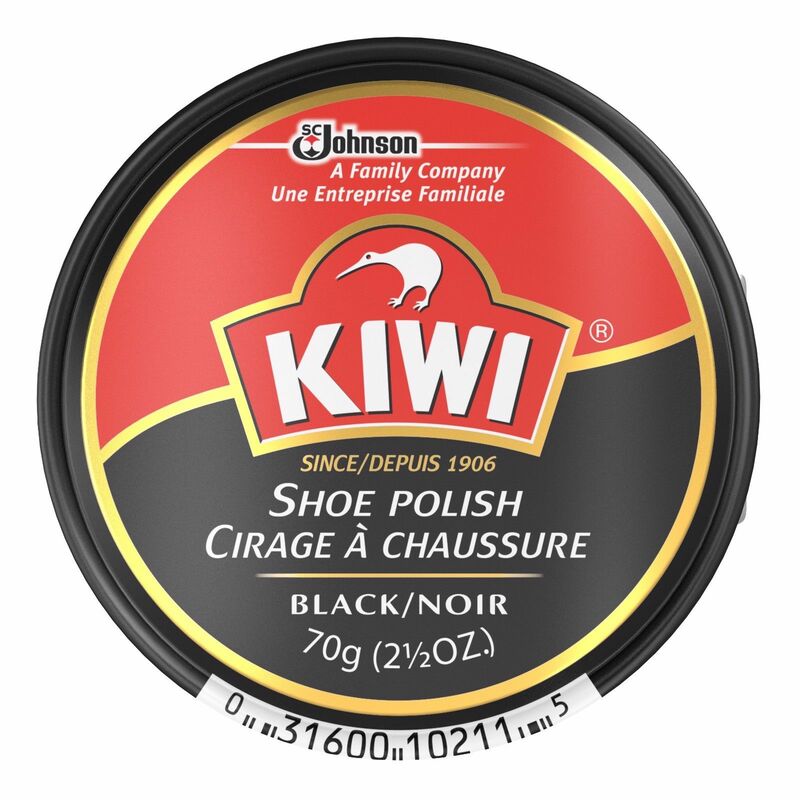 KIWI shoe polish contains a time-honored blend of quality waxes that protect and nourish leather and produce a long lasting glossy shine. Superior staining and scuff coverage. Apply polish with a cloth or polish applicator. Allow drying. Buff to a gloss. 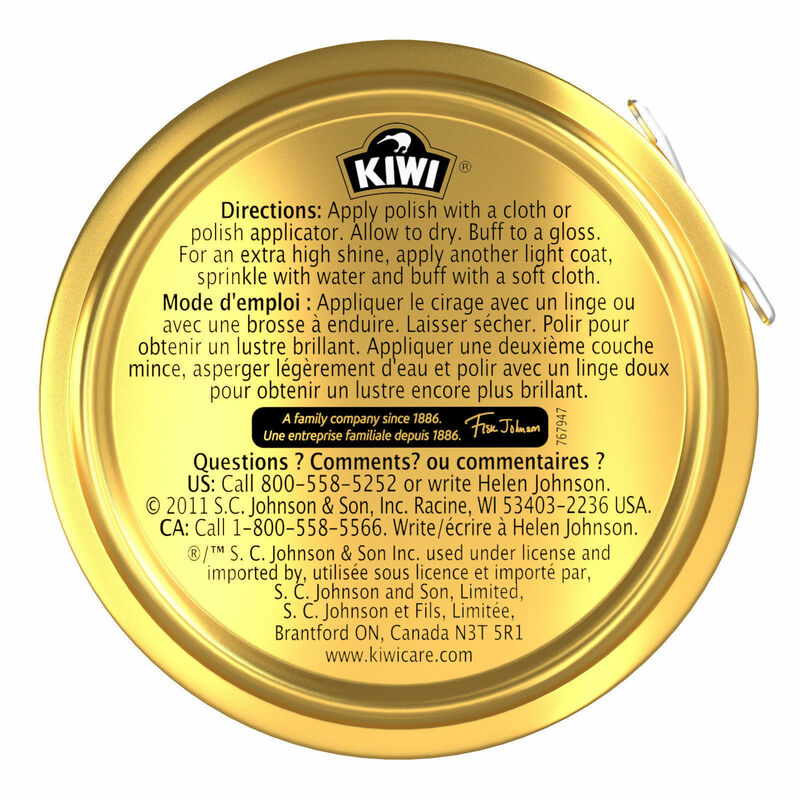 For an extra high shine, apply another light coat, sprinkle with water and buff with a soft cloth.